As you prepare for the birth of your baby, we want to support you and provide you with resources that assist new parents in the transition of adding new members to your family. Please let us know if you are expecting a new little blessing so that we can celebrate with you! In order to maintain a safe adult-child ratio, we need many loving adults on our preschool team. We ask that each preschool parent help on a rotating basis during worship services as a Volunteer In Preschool. We do not expect mothers of infants under the age of six months to participate in this service. 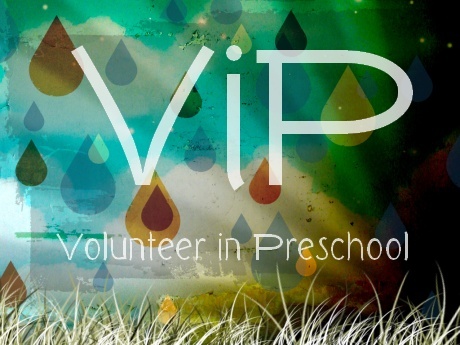 Click the ViP logo to see the current Nursery Schedule. During Sunday School for preschooler, teachers will guide preschoolers as they learn Bible truths and stories in developmentally appropriate ways. We use the Deep Blue Curriculum by Cokesbury Publishing. (For more information, visit www.cokesbury.com). For classroom locations, please click here. During Worship, we offer Extended Session care for preschoolers ages six weeks to three years. To find your child's class, please visit the Preschool Welcome Area. Four and five-year-olds can participate in Worship activities designed just for preschoolers. They will be invited to leave the Worship service before the sermon and join their leaders. Trinity boasts four children’s choirs. The Cherub Choir for three and four year-olds meets on Wednesday evenings at 5:30 p.m. in B102. The Carol Choir for Kindergarten and First Grade meets in B100. The director and workers plan music activities which teach the children music reading readiness skills. In addition, they introduce music and singing which engenders joyful participation. These choirs lead in worship once a semester and are involved in a Christmas music presentation in December. Children’s Choir brochures are available in the gathering area. For more information, email Gayle Lavish, Music Assistant for Children’s Choirs by clicking here. Mission Friends provides meaningful learning experiences for children age 3-5. Missions Education experiences help children understand the church’s role in loving those around us and around the world in the name of Jesus. Learning about missional living is an important component of faith formation. Classes meet on Wednesday nights from 6:00 p.m. to 7:00 p.m. Three, Four, and Five Year Olds meet in B108. When you are in classes or meetings on Sunday or Wednesday nights, we provide a trained staff of teachers to care for your child. We are dedicated to providing a safe and enjoyable experience for preschoolers while at church.